Are aches and pains interfering with your enjoyment of the game? Medzone wants to help you swing pain free. Golf is not the most strenuous of activities, but it nonetheless can generate a wide range of injuries. MedZone has over 15 years of experience in treating athletes in a variety of more intense sports, and is now promoting its products to the golf market. I did spent a couple months using MedZone’s PainZone, BlisterZone, BurnZone, and ChafeZone products as needed to treat and prevent minor aches and pains. MedZone has packaged them nicely in a compact, easy-to-fit in the bag, Activity Pak, which makes it easy to take with you to the course. 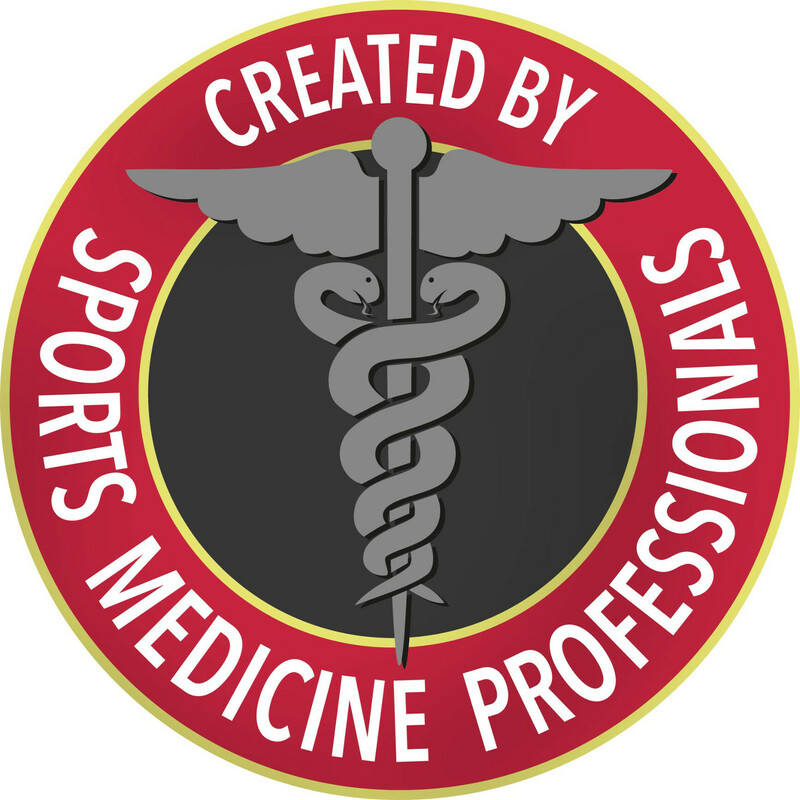 MedZone products were developed by a licensed physical therapist and certified athletic trainer with over 40 years’ experience working with athletes from the high school level through professional and Olympic levels. Made in the USA, MedZone products are designed to prevent, treat and manage aches, pains, discomforts, wounds and skin-chafing issues for individuals in sports, industrial settings and recreational activities. So how do they work? Let’s take a look at them individually. PainZone is a topical analgesic intended to relieve pain from overuse, overexertion, and even arthritis. PainZone combines three anti-inflammatory agents plus two additional anti-inflammatory ingredients to reduce or eliminate discomfort. The product uses a blend of essential fatty acids to convey the active ingredients deep into the tissues. PainZone is recommended for strains, sprains, joint pain, back ache, arthritis, tendonitis, and more. 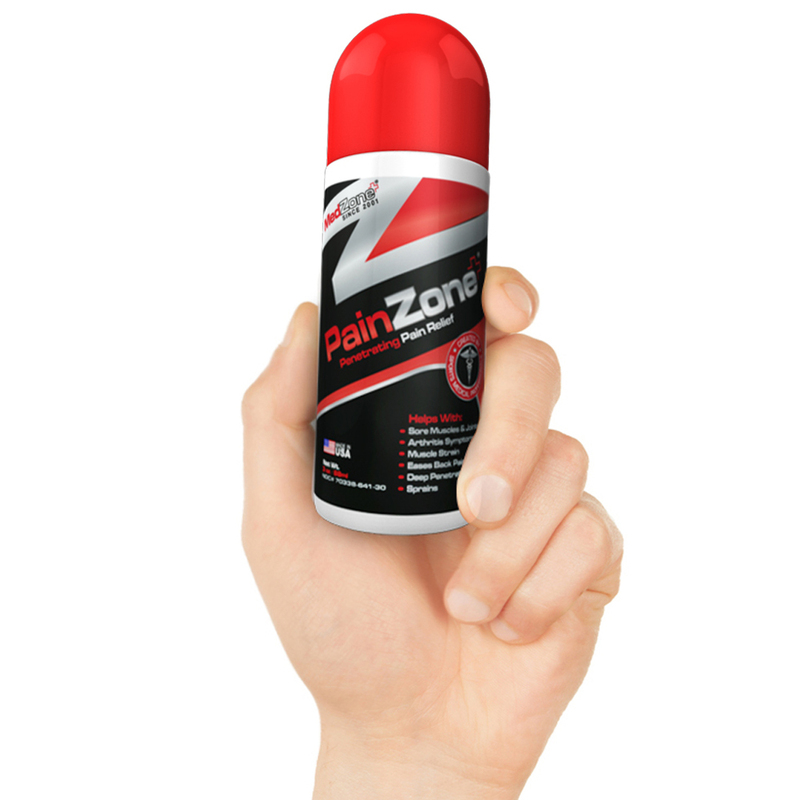 The first thing that you’ll notice when you apply PainZone is that it has a fairly strong medicinal, menthol smell. It is pleasant enough, but it will give away your pain relief secret. I found PainZone to work really well on minor arthritis pain and sore muscles. Just apply the roll-on analgesic to the area in question, and the pain will start fading almost immediately. Even though the effects are nearly instantaneous, they still last several hours. Unlike some creams that have similar claims, PainZone’s roll-on applicator makes treatment fast and neat. You can apply mid-round with no fears of holding up play or messing up your best golf shirt. As the name implies, BurnZone is intended to soothe minor burns, scrapes, insect bites, sun and windburn, and other skin irritations. While I did not have occasion to use BurnZone as much as the other products, I can attest that it works well on the sting of mosquito bites, as well as minor skin abrasions. Again, the menthol smell is noticeable. Your foursome will know you have some sort of ouchy. The surprise hit for me in the MedZone lineup was BlisterZone, which as you’d guess is for the prevention of blisters on the hands and feet. Early season range sessions are a prime opportunity for hand and finger blisters that could prevent you from practicing for days after. BlisterZone not only helped prevent blisters for me, but when applied to a developing hotspot it soothed the inflamed skin and kept it from developing into a blister. New shoes are a great recipe for blisters on the heels. I made the mistake of taking a new pair of deck shoes on a cruise. At the end of the first night, I had hotspots on both heels that threatened to limit my footwear choices to flip flops. Luckily, I also took some BlisterZone with me. It quickly alleviated the situation by reducing the friction caused by the shoes and soothing the inflamed skin. Since then, I’ve also used it on my heels pre-round to prevent blisters from occurring. I could especially see keeping some of this product on hand for those occasions when I want to wear new shoes without socks. I wasn’t expecting to get much use from BlisterZone, but it plain works. In addition to golf, I also ride a bicycle for exercise, typically riding for 25 miles or more three or four times a week. Many cyclists, myself included, use anti-chafing creams to keep from wearing themselves thin. These creams typically come in jars and have to be applied by hand. It is a messy process. ChafeZone comes in a stick, making it both easy to apply and less messy. ChafeZone was developed with input from special operations forces around the world. It is designed to resist breaking down from sweat, chlorine, salt water, and more, creating a barrier to friction. In golf, chafing can sometimes be an issue either from walking or even from making the golf swing. ChafeZone’s long-lasting protection and easy applicator make it a great option to address those issues. Trust me, if it holds up for a 30-mile bicycle ride, it will have no problem going 36 holes or more. The MedZone Activity Pak ($24.95) includes BlisterZone, ChafeZone, PainZone, and BurnZone. The box will easily slip into a pocket in your golf bag for those unexpected injuries that crop up during a round. The pack would be especially useful on those early season, cram-as-much-golf-in-as-you-can buddy trips. In addition to sizes offered in the Activity Pak, each products is also available in standalone sizes. ChafeZone comes in 0.8 oz. ($9.99) or 1.5 oz. ($15.99) sticks. The PainZone roll ons come in 1 oz. ($8.99) and 3 oz. ($15.99) roll-on sizes. BlisterZone comes in a .8 oz stick ($9.99). BurnZone comes in a 5-pack of .125 oz. packets ($5.99). In addition to the aforementioned products, MedZone also offers ChubRub and Wound Wash. Chub Rub is a version of ChafeZone formulated to treat the serious skin irritation of the same name. Wound Wash is an 8 ounce spray can of sterile saline for cleaning cuts and abrasions. The Activity Pak and other MedZone products are available directly from the MedZone website. I’m happy to report that MedZone’s products worked as described. PainZone makes quick work of minor muscle soreness and joint pain. 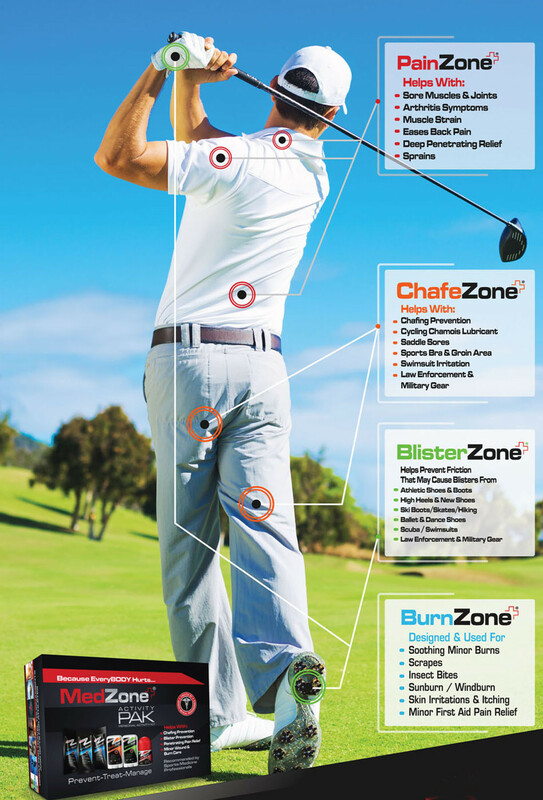 ChafeZone will keep you from rubbing yourself the wrong way on or off the course. The fact that it comes in a stick is a major plus for mess free application. 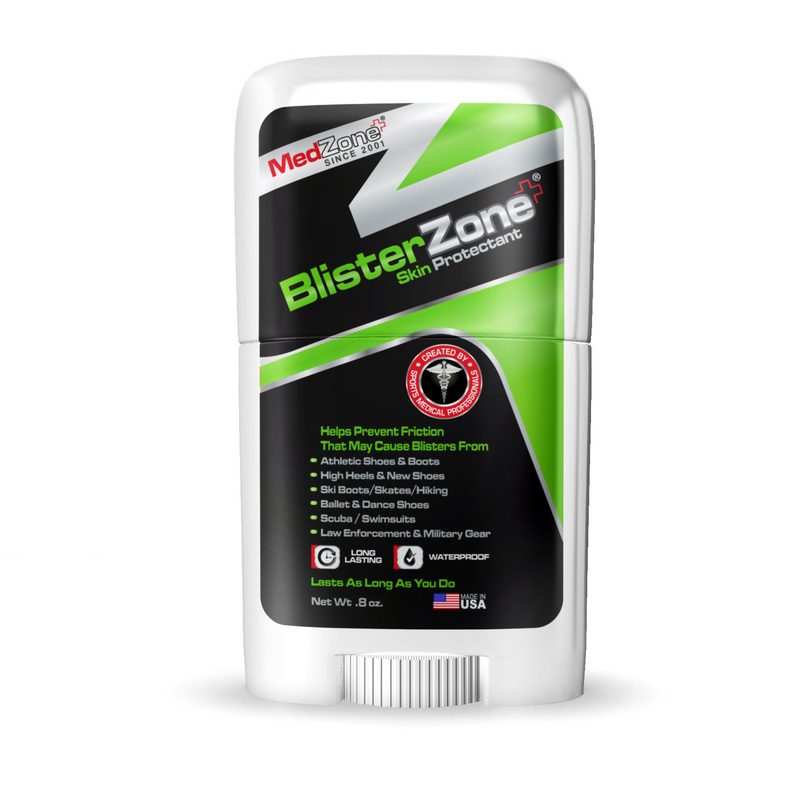 BlisterZone is a product that I didn’t even know I needed until I tried it. The blister prevention properties of this product made it the surprise hit of the Activity Pak. The MedZone products are easy to apply and conveniently sized to take along in the golf bag if you are so inclined. I could do with a little less of the menthol smell, but in practice, you hardly notice it after a while. If minor joint or muscle pain, blisters, sunburn, or the like frequently, or even occasionally, detract from your golf game, the MedZone Activity Pak could be a useful addition to your medicine cabinet, if not your golf bag. You start off by saying “golf is not most strenuous of activities”, but I beg to differ. The body goes through so much twisting and turning in a golf shot that pulled muscles are just one common injury. I’ve suffered plenty of muscle problems playing golf over the years. Most swings are around 85 mph, so a lot can be disrupted in the body. Here’s a list that might help.